Amidst the ruins of the global economic crisis, the rise of aggregation as the master frame of online interactions, and the adoption of liking as a means to subscribe to collective identities, points to the emergence of a new culture of collectivity which we should welcome and embrace. The mask of Guy Fawkes appearing in thousands of websites and social networking sites, the picture of Egyptian young blogger and revolutionary martyr Khaled Said prominently displayed in Facebook pages and Twitter channels or used as an alternative personal profile picture; the word “Occupy”, turned into multiple combinations in the logos of websites, Tumblr pages, YouTube channels; the 5 Star of Italian comedian Beppe Grillo's political movement copied and pasted across MeetUp groups and blogs. Why are we so obsessed with such symbols? Why do these “mass nouns” and “mass icons” exercise so much fascination? What does their popularity tell us about the culture of contemporary digital activism? Across the current wave of popular social and political movements, from the indignados and Occupy to the more recent rise to prominence of Beppe Grillo's movement in Italy, we find a series of powerful collective symbols that have become not only a means of self-expression and self-recognition for activists, but also a magnet attracting hundreds of thousands of likes, followers, shares and comments on the metrics-obsessed web 2.0. When we try to explain more precisely what these symbols are about, and how they “attract” internet users, however, we are mostly devoid of definitions and explanations to capture such phenomena. The imaginary of networks and networked politics - which has come to dominate the analysis of contemporary movements via the work of Manuel Castells - seems wholly inadequate to get to grips with the role of such symbols. “A network does not have a centre, only nodes” - is the formal definition Castells gives of networks. But aren't these collective symbols precisely centres of some sort? The popularity of mass symbols like Guy Fawkes, Khaled Said, and many others, bespeaks the extent to which the culture of contemporary digital dissent is being pervaded by a new imaginary of social centrality. As Jeffrey Juris, himself a pupil of Castells and a theorist of networking, has admitted in a recent article - in movements like Occupy what dominates is a “logic of aggregation” rather than a “logic of networking”. In a similar tone, in my own book Tweets and the Streets I used the terms “assembly”, “centring” alongside “aggregation” as the notions through which to describe the way social media shape the process of mobilisation of contemporary movements. Juris himself does not have much sympathy for such an emerging trend. He notices with some relief that networking continues to survive. I believe instead that the focus on aggregation constitutes a positive innovation of contemporary movements, and a reflection of the majoritarian ambition of the “we are the 99%” type, that I have discussed in a previous article for openDemocracy. In this article I want to advance the understanding of online aggregation as a process of collective identification, and to explain why such a process has become the master frame for contemporary digital activism. Briefly put: the opposite of networking. The English term aggregation comes from the Latin word “gregare” which means to herd, to flock, to bring together a group of individuals in the same group. The notion of aggregation used for a long time in sociology to describe the process of group formation and group maintenance, invokes an emphasis on unity, collectivity and uniformity which is completely at odds with the individualistic imaginary underlying the dominant discourse of networks. The best metaphors to describe how the process of online aggregation operates are two: a magnet with iron dust and a funnel collecting water drops. Just like a funnel or a magnet, aggregation gathers the distant, the dispersed, the disparate, and directs it towards the same point, which can be both symbolic and material, as in the case of the occupied squares of the movements of 2011. Aggregation is a process of reductio ad unum – a “reduction of the complexity of the social” - to use the terminology adopted by Ernesto Laclau, in which there is a necessary trade off between unity and diversity, in which being and acting together with others means in part renouncing what it is to be a self-directed autonomous individual engaging only in localised transactions with other individuals. Where networking puts all the emphasis on connection at a distance and decentralisation, on point to point micro-dynamics of communication, aggregation brings back an accent on the macro-level: on community, unity and totality. While networking conveys an image of collective action as based on connection from a distance between individuals as autonomous nodes bound together in flexible assemblages, aggregation emphasises the importance of a process of collective coming together and symbolic fusion around a common identity. Talking of aggregation thus involves recuperating a sense of group unity and of collective solidarity. Precisely those values that the individualistic discourse of networks and networked individuals attempted to displace, seeing them as authoritarian and anti-democratic. The rise of aggregation in digital activism is largely a reflection of a change in the values of contemporary movements vis-a-vis previous movements. The question of unity was ostracised by anti-globalisation activists in the west, who instead placed much emphasis on autonomy, and diversity as in the much criticised principle of ‘diversity of tactics’. Such minoritarian orientation found in networking its favourite organising principle, networking as a temporary federation of individuals and communities. The majoritarianism of contemporary movements, their populist claim to be the majority or near-totality of the citizenry introduces instead the need for a symbolic fusion of a disparate constituency around something they share in common. Besides reflecting a shift in movement values, the rise of aggregation is a consequence of the business model of corporate social networking sites at the time of the ‘mass web’, a web that is rapidly displacing TV as the most popular medium, and that in turn is increasingly adopting the broadcasting logic of mass media. In the era of Big Data, and data profiling, social networking sites strive to “aggregate” users around common tastes and attitudes, to locate them in common sets, for the purpose of targeted advertising. Facebook pages, Twitter channels, Tumblr blogs, and similar social network sites have thus become services which despite their name have less and less to do with networking, and more and more to do with aggregation. They are social aggregators, which means involved in a process of herding, of drawing together publics of consumers around the same products, be it Coca-Cola (60,492,847 likes on Facebook) or Justin Bieber (35,530,362 followers on Twitter). Contemporary digital activists, Facebook admins and radical tweeps, unashamedly appropriate and make use of such in-built orientation of corporate social networking platforms. They turn the bias towards aggregation towards their own ends, as a means of facilitating a process of mass mobilisation. Much like digital marketing strategists, they strive to aggregate people around shared symbols, to be then mobilised around common actions. Only the content of these communications and mobilisations is radically modified. Instead of Coca-Cola and other popular brands, a movement franchise like Occupy Wall Street in its multiple variations. Instead of Justin Bieber and similar social media celebrities, the icons of revolutionary heroes and martyrs like Khaled Said. Instead of buying and consuming, taking to the streets and protesting. The process of online aggregation directed by contemporary digital activists involves the collective identification around shared icons and shared nouns of a mass of Internet users that is largely deprived of prior group affiliations. This process of aggregation makes use of a number of interactions or more properly “reactions” (rather than interactions) available on social networking sites, exemplified by popular web 2.0 tropes such as living, sharing, commenting and following. Take the case of the Kullena Khaled Said (We are all Khaled Said) Facebook page, the page that acted as a crucial mobilising platform during the Egyptian revolution, and which currently stands among the most popular Facebook pages in the Egyptian web, with 2.8 million likes. The page was created to protest against the murder of young Egyptian blogger Khaled Said, killed by the police just outside of an Internet café he was frequenting, as a reprisal for leaking to the Internet video evidence in a case of corruption. 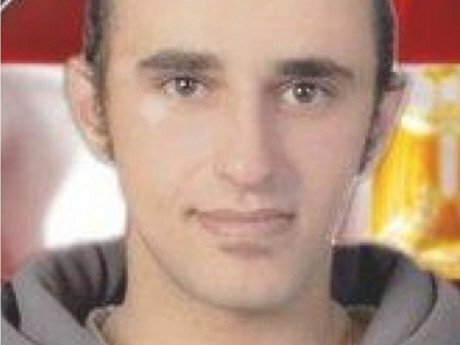 Khaled Said´s profile and the peculiar story of his martyrdom made him into a perfect symbol, of the Shabab al-Facebook (Facebook Youth), the Egyptian middle class and internet-connected youth. Khaled Said became a rallying point for a dispersed constituency and a powerful symbol to instigate collective action. 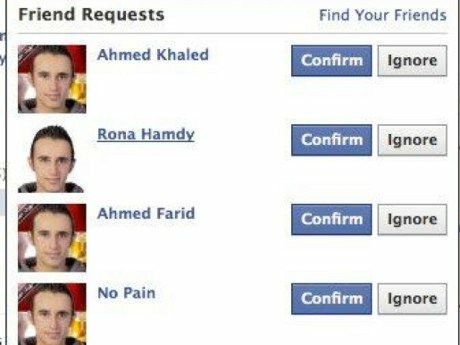 In the weeks approaching the revolution, many page users exchanged their own personal profile picture for a picture in which the face of Khaled was placed in front of an Egyptian flag. 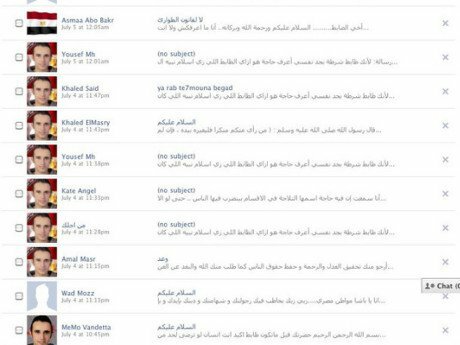 They forfeited the foremost means of personal identification on any social networking site, for a collective profile picture. It did not matter what your name was, who you were, where you lived. As the name of the Kullena Khaled Said Facebook page suggested, Khaled Said was everyone who shared the same experience as him, the same fears and the same desires. Khaled Said was all those young Egyptians, who wanted to revenge him by liberating their own country from dictatorship. Mass nouns, like the indignados, Occupy Wall Street, Anonymous serve a similar purpose to that of the icon of Khaled Said turned into a collective profile picture. Such nouns evoke unifying collective identities to which individuals can subscribe by using that mass noun instead of their own individual noun, by presenting their individual actions as the contribution to a collective effort. They are to a great extent masks, like the ridiculously popular Guy Fawkes mask: collective symbols through which one declares one’s own membership of a collective agent that is not reducible to its individual components. Their adoption involves a partial renunciation of individual autonomy and identity in the name of collective solidarity. But has this not somehow always been the case with collective identification? What has changed and visibly so is the way in which we subscribe to such collective identities, and the overall culture through such identity subscriptions are signified. It is at this level that the web 2.0 tropes of liking, commenting, sharing and following come to the fore. New media theorist Geert Lovink, co-founder in the mid ‘90s of the Nettime activist mailing lists and initiator of the recent Unlike-us initiative against social media monopolies, has denounced liking as the epitome of the banalisation of contemporary digital culture. Lovink describes liking as in opposition to linking - the dominant figure of web 1.0. While linking expressed curiosity, openness and a desire for exploration, liking betrays an inward-looking and superficial attitude. Definitely there is some truth in this type of assertion. But such Frankfurt School style criticism betrays a problematic nostalgia for the good old times of the pioneering web, when we were few and highly educated – and a suspicion of the masses who have by now invaded and denatured our web. What’s more, it misses the potential of web 2.0 tropes of the ‘liking’ type for activists and for processes of mass mobilisation: a potential that has been powerfully demonstrated by the contemporary wave of popular movements, from the Arab Spring, to the indignados and Occupy. Activist use of the liking trope, in all its simplicity and reactivity, is a manifestation of a new activist culture in which a desire for group membership, however loose and contradictory comes again to the fore, putting into question the individualistic imaginary of networks. By liking Occupy, Khaled Said, Anonymous and similar mass icons and mass nouns, we expose ourselves to the publics of the ‘mass web’, we declare publicly our sympathy for a certain cause, our allegiance to a certain group. Liking political social media pages reflects our desire to be part of, to commit to something, however much this commitment bears the mark of the condition of extreme liquidity and uncertainty on our lives, ravaged by neoliberalism.